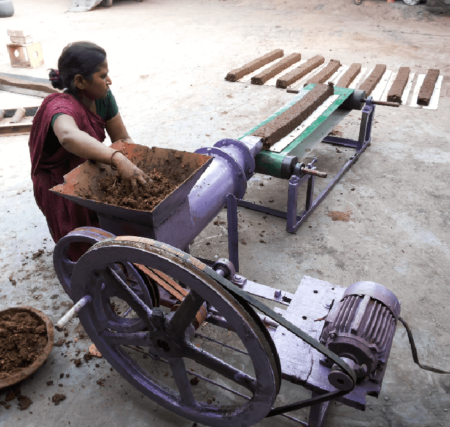 A combination of dung and straw (or any agro waste/harvested crop residues) is fed into the hopper of the machine. 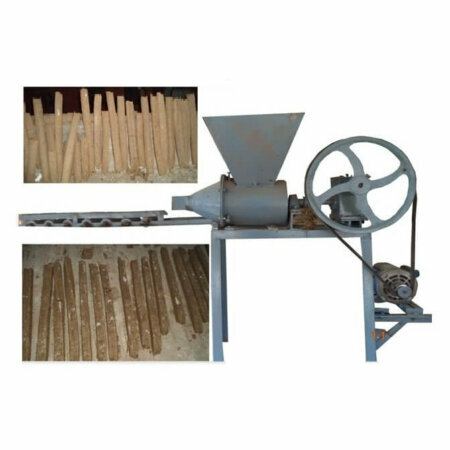 Screw mechanism has been provided in the machine, which helps in mixing raw materials thoroughly, compress them and extrude them out. By using different size of die, logs of different shapes and sizes can be made easily. Produced logs are then put under the sunlight to dry out the moisture inside them, making them hard and sturdy.